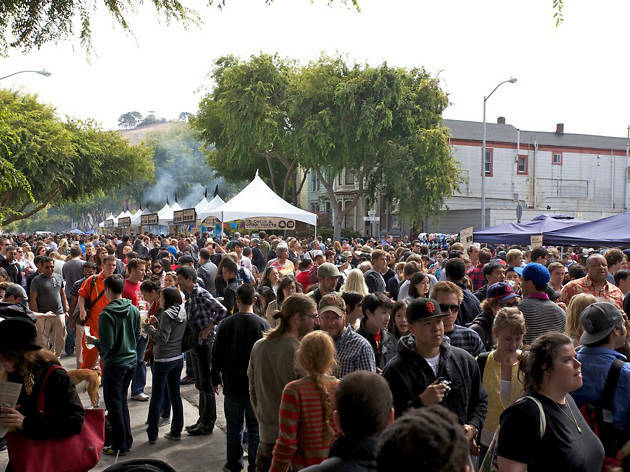 In a few short years, the San Francisco Street Food Fest has emerged as a must-do annual tradition. 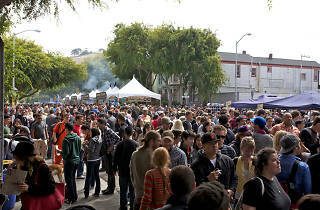 With humble roots, its inaugural event launched on just a few blocks of Folsom Street. Now in its 7th year and drawing attendees in the thousands, the founders are taking it big time with a move to massive Pier 70. More than 100 vendors from all over the Bay Area will be doling out unpretentious delicacies, while Noise Pop provides the tunes. To celebrate the expansion, snag tickets to Saturday night’s spit roast, a 5-course seated dinner whipped up by Jim n’ Nick’s and 4505 Meats.